It is worrisome with irony in spring. The bamboo shoot was harvested. I will always be worried as the taste in spring. I am using the report also here. 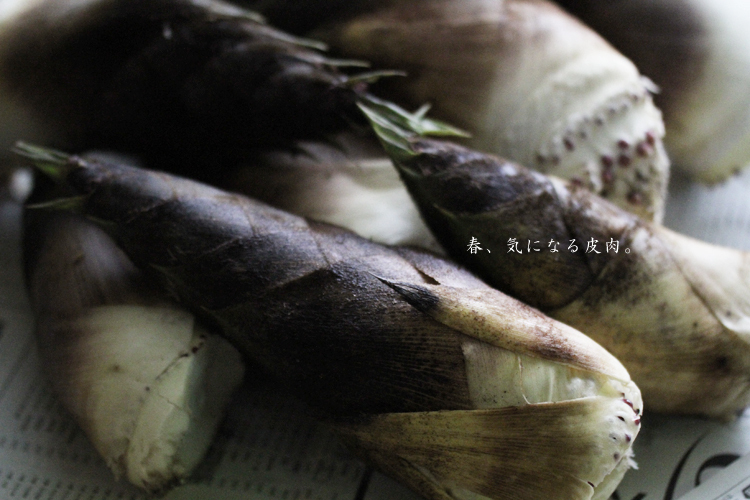 A baked bamboo shoot* and rice cooked with bamboo shoots*. The character of Japan of a bamboo shoot is written combining a "bamboo" and a "season." A "bamboo shoot" means "the child of a bamboo." That will be because the edible period is short. 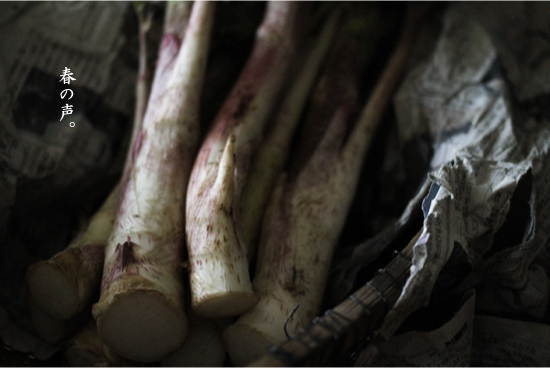 The spring foods which we waited for a long winter and gathered a harvest have Japanese butterbur and wild grass. These have a short period eaten and we have to do cooking special to that for eating. And there is the peculiar taste in these. They are very ironical foods! Therefore, will I be worried in spring? A natural blessing and people's wisdom. Sincere craftsmanship of Japan continues. To a climate or history, it is present-day wisdom and science. What took them in is very attractive! 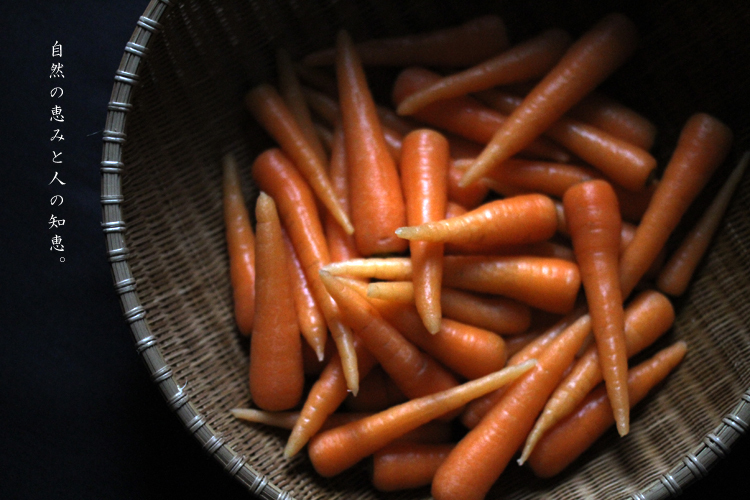 It is a Yukinoshita carrot with deep sweet taste at small size. A carrot is grown even if temperature is low. Therefore, fixed time is changed and the taste of a carrot is made to cultivate under snow. This small carrot is already one of the answers of a snowy country. The udo queues up on the table of spring. It hears of the story of mountain herbs from various points at that time. "It is time that enters the mountain soon. " "It is large this year. " "It is delicious when doing so and eating. " Everyone talks joyfully as well as the autumn harvest. Because we passed winter, I hear everyone's voice more happily. I came to like tradition food from old and simple food after it had come back to Akita. It is felt that eating are happier than other seasons in winter. Curry ate after skiing. Soup eats with kamakura. These are my memories. 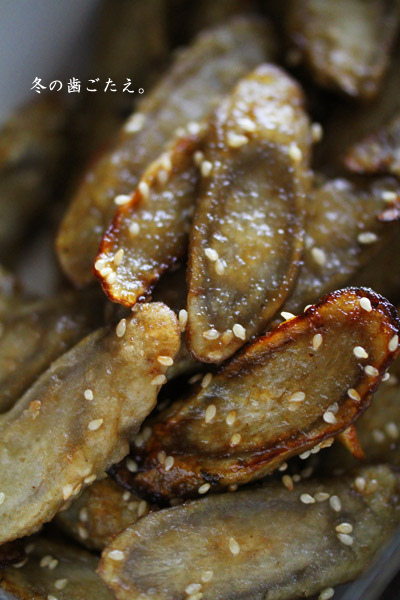 I recalled the food in childhood while feeling the texture of the root vegetable of winter. The kotatsu and the apple are indispensable for the winter of Akita. When a large amount of fish are bought, a large amount of apples are similarly bought. By the way, it was heard that the appearance eaten by someone was done so that fruits might carry the seed far away. Indeed, it is a red, enchant, glamorous form. 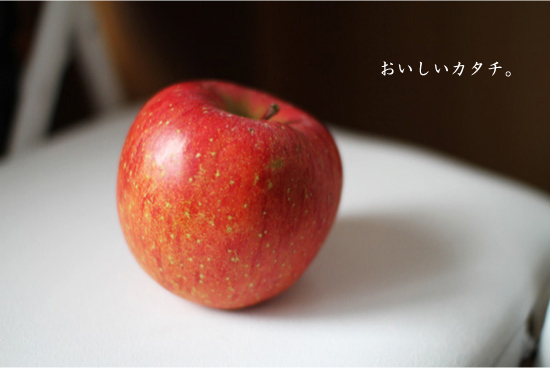 I thought that it was very understood that Adam had eaten and the apple was used for a lot of objet and motifs. The principle of polished rice supremacy. Produced new rice "Akitakomachi" arrived with foot of Minasegawa, Iwasaki. It is luxury first in autumn that can fully taste the rice of the staple food. 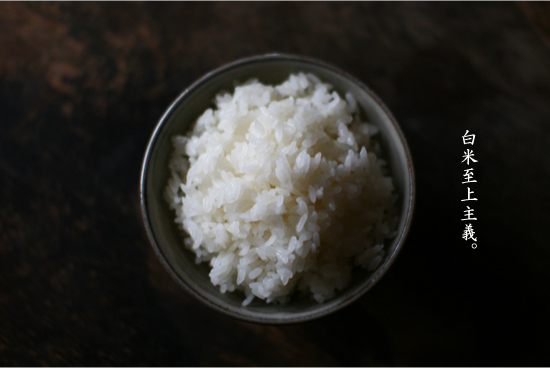 In this time, polished rice becomes the leading role of the meal. 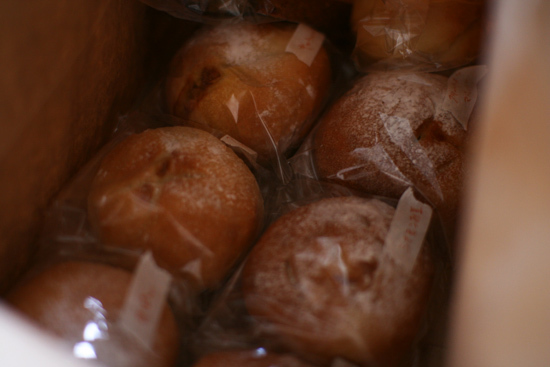 "Hitotubu-dou" of bakery in Miyagi Prefecture Iwadeyama came. After it was of my proceeding suddenly of knowing accidental "Hitotubu-dou". Bread is made from the house family with father who manages the farm machines and implements shop. I remember a lot of articles of antiquity the arrangement in the inside of a store. 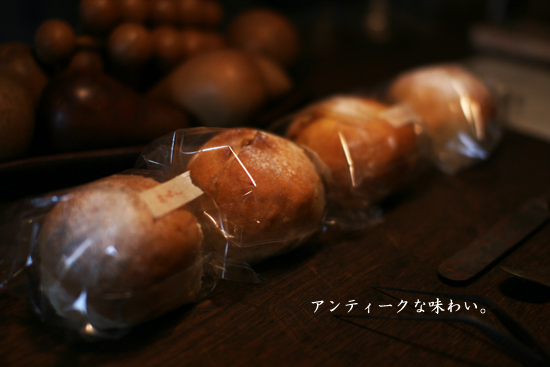 When the gotten bread was displayed to the desk, it was seen to be antique. It is because of the method of the work of men who value each one. I middle fully got bread of the bag!